Single-distilled on the Osumi Penninsula in Kagoshima Prefecture on the island of Kyushu. Satsuma Mura has been produced since the dawn of the Meiji Era focused only on black koji (kuro koji). 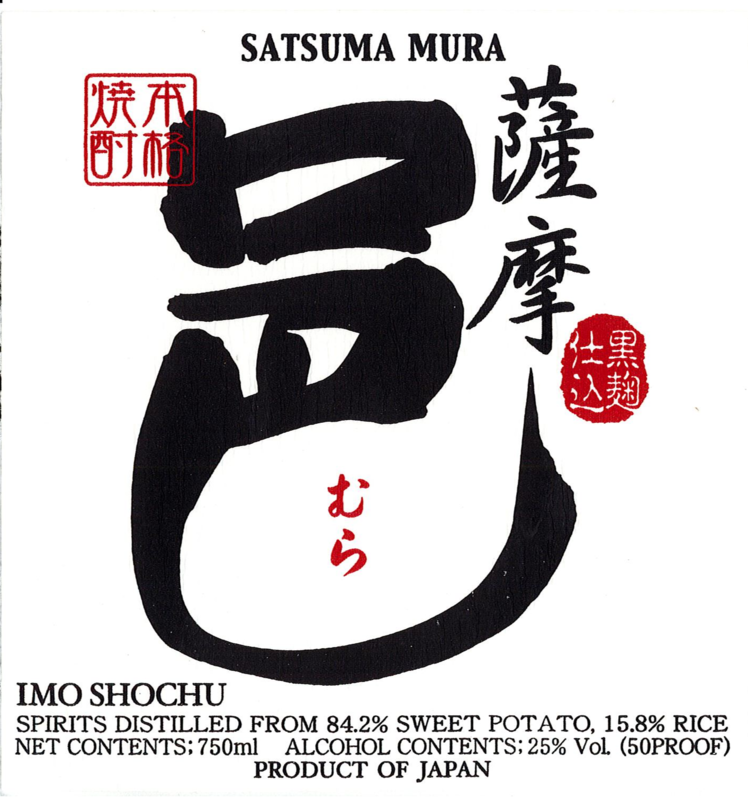 Satuma Mura seeks to capture classic and nostalgic imo flavor; aexuding all the characteristics of ancient sweet potato shochu recreated for the modern era. Crisp and Full-Bodied, yet Delicately Sweet and Balanced. Slightly Earthy and Aromatic.